World Ballet Day 2017 is October 5th! October 5th was World Ballet Day — let’s celebrate all month! 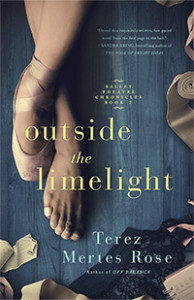 Off Balance, Book 1 of the Ballet Theatre Chronicles is $0.99 HERE and Outside the Limelight, Book 2, is $1.99 HERE. Three cheers for World Ballet Day, which made its return for the fourth consecutive year on Thursday, October 5, 2017! Did you have to miss it? Here are links to archives; just click on the company’s name. On this auspicious day, you’re being treated to 22 hours of live, behind-the-scenes footage from five of the world’s leading ballet companies (plus taped footage from guest companies). Same as last year. And, like last year, you can watch this live-stream broadcast as it links the ballet world, literally and figuratively. On the big day, you can find that link embedded here, or head over to your favorite company’s website, or check out the Facebook live stream. 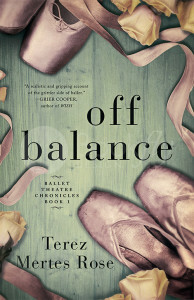 Ahh… Watching that got you hungry to watch more ballet now, didn’t it? Here you go! Following is the class portion of The Royal Ballet’s live stream from 2016. One of my favorite companies watching one of my favorite portions of the coverage. Enjoy! Are you new to the World Ballet Day experience? You should plan on seeing all sorts of fun stuff, including company class (my personal favorite), rehearsal footage, interviews with choreographers and leading dancers, and pre-recorded vignettes from another dozen companies around the world. New information will be forthcoming as we approach the date. I’ll stay on top of things for you, so stop by this spot regularly between now and October 5th. SAN FRANCISCO, Oct. 4, 2017 /PRNewswire-USNewswire/ — The fourth annual World Ballet Day LIVE, will be broadcast in China for the first time. Tencent‘s digital channels offer a combined reach of many millions, bringing the joy of dance to new audiences. The full broadcast will be streamed on sfballet.org/WBD. 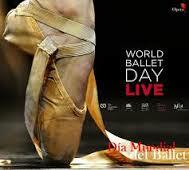 From the World Ballet Day website: All five companies have invited a wide range of regional dance organizations geographically close to their location to be part of World Ballet Day LIVE. The companies included are: The National Ballet of Japan, Singapore Dance Theatre, The National Ballet of China, Ballets du Monte Carlo, Birmingham Royal Ballet, English National Ballet, Scottish Ballet, Northern Ballet, Houston Ballet and Ballet West. From The Australian Ballet’s website: “Rehearsals will be for upcoming shows including Swan Lake, Nijinsky, Spartacus and Coppélia. The broadcast will include guest appearances from Queensland Ballet and West Australian Ballet and Hong Kong Ballet. During Bolshoi Ballet coverage, Les Ballet de Monte Carlo will contribute a guest segment. PS: check out my coverage of 2016’s World Ballet Day HERE and 2015’s coverage HERE, which also includes detail on the day’s scheduling at each location – just scroll down. PPS: That schedule I mentioned? Here it is! My own time zone gets to go first. If you live in California, on the West Coast, or elsewhere that employs Pacific Time, here you go! This entry was posted in Ballet and tagged Australian Ballet in World Ballet Day, Bolshoi in World Ballet Day, National Ballet of Canada in World Ballet Day, Royal Ballet in World Ballet Day, San Francisco Ballet in World Ballet Day, World Ballet Day 2017, World Ballet Day 2017 broadcast in China, World Ballet Day broadcast via Tencent digital channels in China on August 23, 2017 by admin.